CBD Oil for Anxiety Relief, Everything you need to know. CBD oil for anxiety is incredibly popular and has the potential to help millions. It may not be a common topic of conversation, but anxiety affects almost a fifth of the American public. That’s a huge segment of the population, and millions of Americans are seeking ways to cope with it, with a growing number finding that CBD oil for anxiety helps them. Of course, there are many ways to combat anxiety, but recently CBD oil has been gaining popularity as a natural anxiety medicine. CBD and anxiety have become linked due to the many success stories for treatment that you may have already heard about. Those taking CBD oil for anxiety have noted that it helps ease symptoms quickly by reducing elevated anxiety or stress levels. If you suffer from anxiety and are considering CBD as a solution, you probably have a lot of questions. We’re going to give you all the information we think you need to make an informed decision. This includes the recommended CBD dosage for anxiety, and what we think are the best CBD products on the market today. Will CBD Oil Help With Anxiety? While CBD can come in many forms, CBD oil is probably the most popular. We’ll get into the different products further down in this piece, but know that when we’ll speak about CBD and CBD oil interchangeably here. As for the question at hand, it doesn’t take a lot of research to understand why people are using CBD oil for anxiety – because it works. Clearly, for these people, the proof is in the pudding. But before the results were so evident, most of them had likely tried something else to help with their anxiety. Either it didn’t work, or they didn’t like the side effects. There are also many who generally shy away from pharmaceutical solutions that are concocted in a lab. On a larger scale, society as a whole is beginning to understand that we already have a lot of answers to be found in nature. Thus, natural anxiety medicine like CBD is increasingly becoming the most popular way to alleviate symptoms. Natural medicines aren’t always the answer, but in terms of the “will CBD oil help with anxiety question,” those who use it consistently will answer you resoundingly in the affirmative. Personal stories are great, but they don’t have to stand on their own. There has been more than one CBD anxiety study and they have all pointed to the correlation between CBD and anxiety. As with any anxiety medicine, and even more so with a natural anxiety medicine, the focus of these studies is on answering two diametrically opposed questions: will it help, and will it hurt? We’ll start with the second question since it often comes up first. If you are worried that CBD oil could make your anxiety worse, this 2015 CBD anxiety study conducted primarily by researchers at the New York University School of Medicine should ease your fears. The authors of the study found that, unlike other treatments, CBD oil has no anxiogenic, or anxiety-inducing effects. Put simply; can CBD oil cause anxiety? No. For those concerned about side effects, this 2017 study looked at the overall safety of CBD. Essentially, CBD has minimal side effects- what they call “a favorable safety profile.” The most common side effects include tiredness or changes in appetite, which are much less severe than the side effects of other treatments used for anxiety. While CBD has no effect on baseline anxiety, when administered in stressful or anxiety-inducing situations, it greatly reduces anxiety. This might be one of the reasons why some online contributors describe CBD’s effects as “subtle” rather than drastic. This is a good thing, as those little subtle changes are a more natural way to feel better. This research has yet to look at the chronic usage of CBD and the long-term effects of using CBD for anxiety. But studies like these show why CBD is becoming a more mainstream treatment for anxiety, as well many other conditions, such as depression and chronic pain. With all of the ongoing research, we’re bound to see another CBD anxiety study that further confirms the anxiolytic, or anxiety-reducing, effects of CBD that we heard of and seen in first-hand accounts. While it comes in many forms, CBD oil for anxiety is probably the most prevalent. You can take CBD in pill form, vape it, or even topically, but the oil itself is the most flexible in terms of how to use it. It’s also the easiest in terms of dosing, which we’ll cover in the next section. You can easily take as little or as much as you need when CBD is in oil form, and you can add it to other drinks or wash it down with your favorite beverage. Most importantly, CBD oil for anxiety is effective, and we’ve heard the same regarding CBD oil for panic attacks if you suffer from that too. We’re big fans of all of CBDfx’s products, and the same goes for their tinctures. A tincture is essentially the same thing as CBD oil, and this one is of very high quality. It comes in three different purchase sizes (500mg, 1000mg, and 1500mg) and the higher you go the lower your cost is per mg of CBD. We recommend starting with at least 1000mg so you have a full month’s supply as that is how long it can sometimes take for your body to adjust to CBD so you feel the full effects. 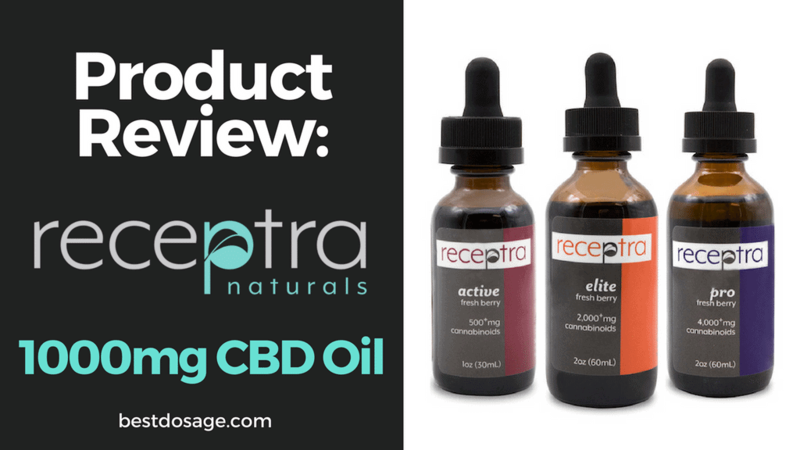 Receptra is a very respected name in the world of CBD and has a wide variety of products. They source their CBD from plants grown on family-owned farms in Colorado and place an emphasis on premium products at a reasonable price. They have two different lines of oil, but in terms of CBD oil for anxiety, we recommend their Health & Wellness line. You can choose from either 22mg or 44mg of CBD per dropper, and either way you should get yourself at least 750mg to start. Another great way to get your dosage of CBD is by vaping. 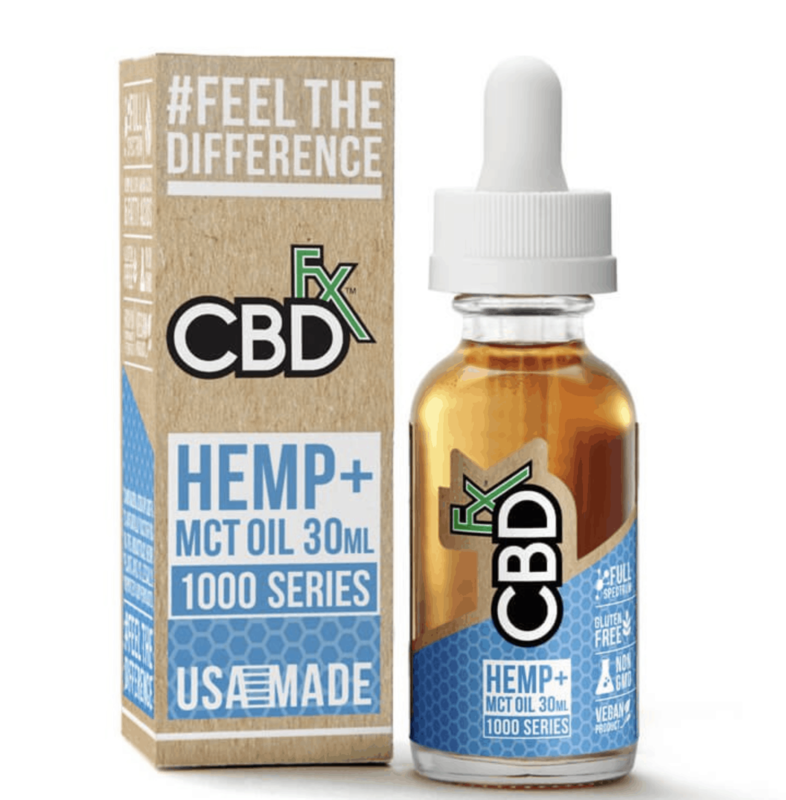 Unlike when a medicine is ingested or applied topically, vaping CBD oil or CBD juice means your dose is absorbed quickly into the system, so you can feel the effects almost instantly. CBD vape pens are portable, and can easily be used in social situations. If you are suffering from anxiety in a social situation, having your CBD oil vape pen is the most convenient way to quickly alleviate your symptoms. This is another of CBDfx’s products that we love and it is a great option for a first time user. 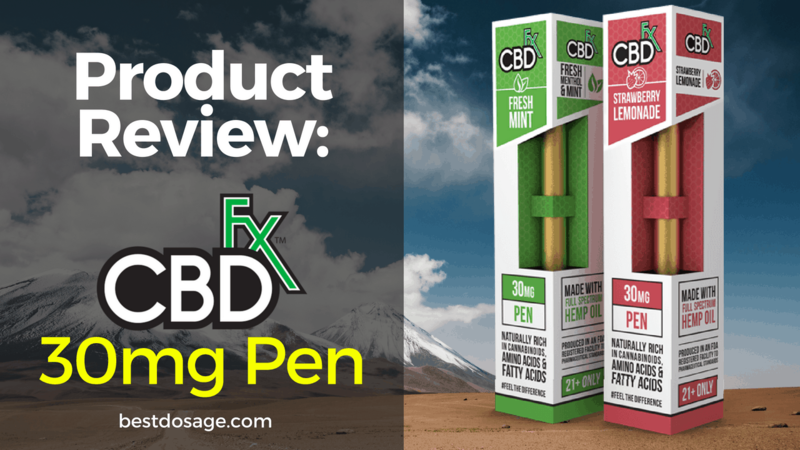 Read our full review on CBDfx vape pens by clicking the image below. CBDfx CBD vape pens come in four delicious flavors and contain 30mg of CBD. That may seem a little low, but if you are new to CBD it is always best to start low and slowly work your way up. You can just take a few puffs, see how you feel, and then take additional puffs as needed. These are disposable vape pens that you can carry with you throughout the day and toss when they are spent. It does have quite a bit of CBD, but that means you can take fewer puffs and it will last you quite a while. 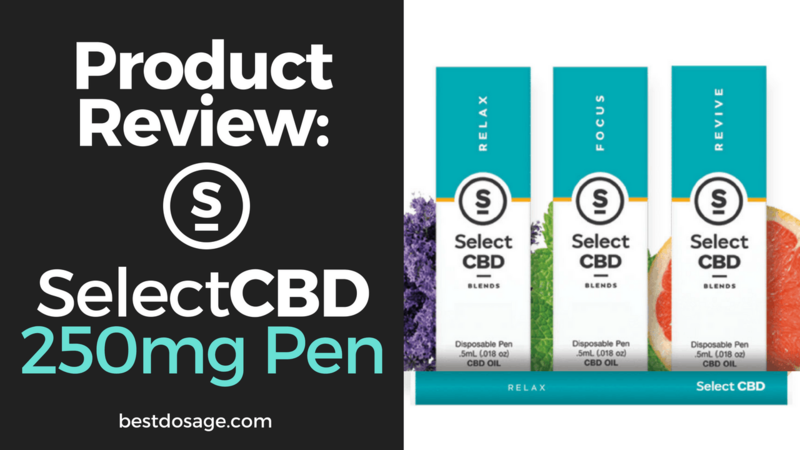 SelectCBD creates a few different formulas for their vape pens (Relax, Focus, Revive) and each has additional elements to help you attain your goal. All of them work well as CBD oil for anxiety products, but we liked the Lavender “Relax” version the best. The best CBD products for treating anxiety are those produced by a trustworthy company, and that has been tested by a 3rd party labs. The above products fit that bill and are highly recommended. Overall, products such as tinctures and vape pens act quickly and effectively, due to the way they are delivered to the body and thus are great options for treating anxiety. The recommended CBD dosage for anxiety varies from person to person, depending on the level of CBD experience, genetics, and other factors. We pulled from research articles, Reddit boards, and other personal accounts to find the most accurate information about the dosage of CBD oil for anxiety. How Much CBD Oil For Anxiety? Beginners: Up to 30 mg of CBD oil per day. *these doses also apply when using tinctures. Most people recommend that it is best to start at a lower dosage of CBD oil for anxiety, then slowly increase your dosage until you feel comfortable. When thinking about dosage, it’s also important to remember that the effects of CBD oil for anxiety are often experienced as “subtle.” So if you’re a beginner, it’s best to start slow and low and figure out what works best for you. How many puffs of a CBD oil vape pen for anxiety? Beginners: 3-4 puffs to last a few hours. Veterans: 6-8 puffs to last a few hours. Unlike the oil drops, it is harder to measure exact mg when it comes to using a CBD vape pen for anxiety. No one puff or drag is the same. The length of an ‘average’ puff would be about 1.5 seconds. Since these aren’t exact, keep track and dose as needed. Overall, it’s important to remember that the recommended CBD dosage for anxiety will be different for different people. Generally, the range is from beginner (30mg per day) to a veteran (90mg per day.) Like many other treatments, finding the right CBD dosage for you takes some trial and error. Remember to start slow, and again keep in mind that the effects of CBD oil for anxiety are often described as “the absence of anxiety,” and “subtle,” rather than drastic. Does it matter if you’re taking other medications along with CBD? In some cases, yes. This is because the way your body processes some medications can be affected by the way CBD is processed. CBD can impact your body’s ability to metabolize certain drugs, by changing the speed at which they’re normally processed. This is because CBD affects something called the cytochrome P450 enzyme, which is involved in metabolizing many different types of drugs. It’s important to be informed about which medications are affected by CBD. CBD has been studied as an effective treatment for a variety of ailments, ranging from anxiety to epilepsy, and from insomnia to acne. CBD and anxiety specifically have been looked at because of the immense success people are having with it. Still, because of CBD’s many different functions, it isn’t usually the only method of treatment for the conditions it alleviates. If you are taking other medication along with CBD, below are some of the medications that are affected by CBD and the way it is processed. This isn’t a complete list, and there may be other medications not listed that are also affected by CBD. CBD actually inhibits the same process as grapefruit does, so if your medication is affected by grapefruit, it will probably be affected by CBD as well. CBD can also have positive interactions with other substances- an interesting example is the combination of CBD and caffeine. Together, they enhance each other’s effects, prolonging your caffeine boost, and relieving anxiety. It’s still best to be cautious and start slow when combining CBD and caffeine- or you might accidentally be awake all night. Overall, it’s important to be informed about whether your medications will be affected by CBD use. It does matter if you are taking other medications. Therefore, if your medications are listed, you should ask your doctor about using CBD as an adjunct therapy before trying it out- your doctor might be able to help you adjust your dosages as necessary. CBD is rapidly gaining popularity as a treatment for anxiety, as well as many other conditions- in fact, analysts predict that by 2020 the industry could be worth at least $1 billion. If you’re considering CBD, and are interested in the benefits, make sure to know both the pros and the cons of CBD and anxiety. Researchers have found evidence that CBD oil is effective as a treatment for a variety of anxiety-related disorders. CBD is a natural anxiety medicine. CBD has no anxiogenic, or anxiety-causing effects, meaning you can use CBD to alleviate anxiety with the knowledge that it will not have the opposite effect. There are a variety of CBD oil products that can be used to quickly and effectively treat anxiety. These include products like tinctures, oils, vape pens, capsules, and gummies. Since the effects of CBD are subtle, unlike other anti-anxiety medications, you can function normally,. CBD can impact the way your body processes other medications. CBD doesn’t have an effect on all medications, but you should check with your doctor before trying CBD oil for anxiety if you are taking other medications. There haven’t been studies yet on long-term usage of CBD oil for anxiety. Like many other anti-anxiety medications, high doses of CBD oil can make you sleepy. You should always make sure you know if CBD will impact any medications you are taking. 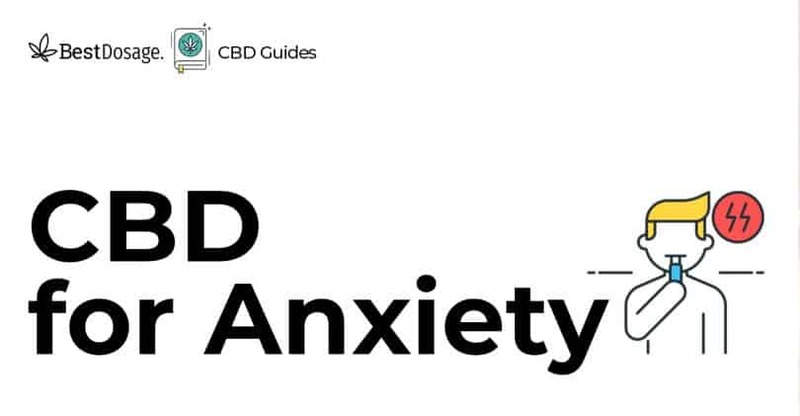 By now you should have a pretty firm understanding of CBD and anxiety. CBD oil for anxiety is incredibly popular and has the potential to help millions more. It is a natural anxiety medicine that has been shown to help real people suffering from anxiety. The most recent CBD anxiety study has shown the scientific link between CBD and anxiety and we’re sure there will be more studies on the way that will further solidify this link. If you’re still wondering “will CBD oil help with anxiety?” be sure to read the various sources we have linked to in this article. We think there are mountains of evidence, but we always encourage everyone to do their own research. If you’re ready to get started, make sure you look back at our recommended CBD dosage for anxiety section so you feel confident with your next steps. Be sure to check back on this site for more information and if you need help choosing the right product for you, our in-depth CBD product reviews will point you in the right direction. Whether you choose CBD oil for anxiety or go a different route, we wish you the best of luck and soundness of mind and body!